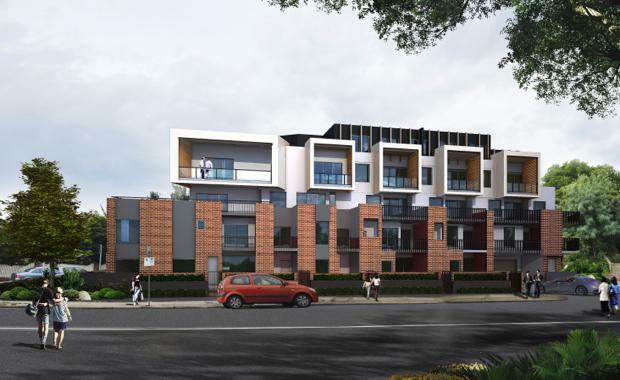 A local developer has paid $5.7 million on a per unit rate of $132,558 and a land rate of $3448 a square metre for an Ivanhoe residential development site with approval for 43 apartments. According to Savills’ Associate Director, Jesse Radisich, and Director, Julian Heatherich, who managed the Expressions of Interest sale, the property attracted 150 enquiries from a wide range of local, national and off-shore developers. "A total of seven individual Expressions of Interest were received following the close with a spread of local, national and off-shore developer interest," Mr Radisich said. Located at 47-49 Norman Street, the 1653 square metre site zoned General Residential Zone 1, is close to Ivanhoe Railway Station and prime retail on Upper Heidelberg Road. Mr Heatherich said the price had comfortably exceeded the initial price expectations of circa $5 million. "The response to the marketing of the property was extraordinary, but not all that surprising given Ivanhoe’s close proximity to the CBD, the location in Ivanhoe, the availability of first rate services and the demand that has seen such a fantastic success rate for surrounding projects,’’ Mr Heatherich said. The quiet, leafy, family friendly suburb, just eight kilometres and a 20 minute train ride from Melbourne’s CBD, has become a favorite with apartment purchasers with 206 of 222 new apartments sold before construction on just three new projects. In Westley Avenue a 127 apartment project, which is currently underway, has sold out, while the 51 apartment Decco project at 55 Lower Heidelberg Road was 90 per cent sold prior to construction and 33 of 44 apartments at 206 Lower Heidelberg Road sold in the first 10 weeks of formal marketing.